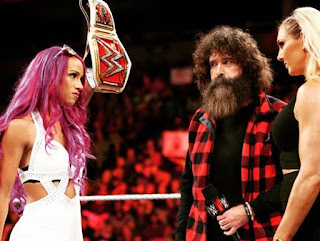 Is Bayley Destined to Fail? Well, yet another WWE PPV is upon us. This one is the 2nd RAW based brand PPV and while it is yet another gimmick styled PPV, this one has a bit of intrigue to it. Hailing live from Boston, the WWE presents the 8th annual Hell In A Cell PPV and the card is interesting. Very interesting. While three Cell matches is definitely overkill, one has to be curious how each match will differ and the fact we get to see history being made is truly something that will be special to witness. Let's get into the card and event. -The preshow match is legit my favorite match on this card. 6 of the top talents ability wise in the company will all be in the ring for a huge 6 man tag team match. I love it. The biggest story here? To see my bro Cedric Alexander technically on a WWE PPV and possibly setting the show. I think that Gulak, Nese, and Daivari will win this match however, but I hope that Cedric doesn't take the pinfall or submits in this match. It wouldn't be right. Still, I'm excited to see the action in this one. 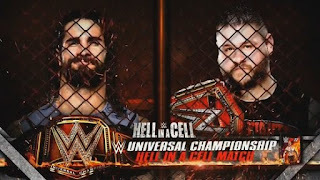 -Is there really a purpose to this feud? Is it really? Charlotte no longer has Dana Brooke in her corner like that, which is great, and Bayley has lost momentum as well, which is expected in a way, but this match feels like it doesn't belong. Bayley will likely get the win, but don't be shocked to see the return of Emma (in her new pointless Emmalina) gimmick to help Dana Brooke either garner a victory or beat down Bayley after she gets a win. Hopefully this will be the end of this whole nonsense and we can move on from the Bayley vs Dana Brooke feud. Bayley deserves better. Maybe an Alicia Fox or Emma feud? I'd welcome that more than this. -This feud has gone on far too long if you ask me and though it's been only a few months, one has to wonder when the WWE will get how bad Reigns is overall. 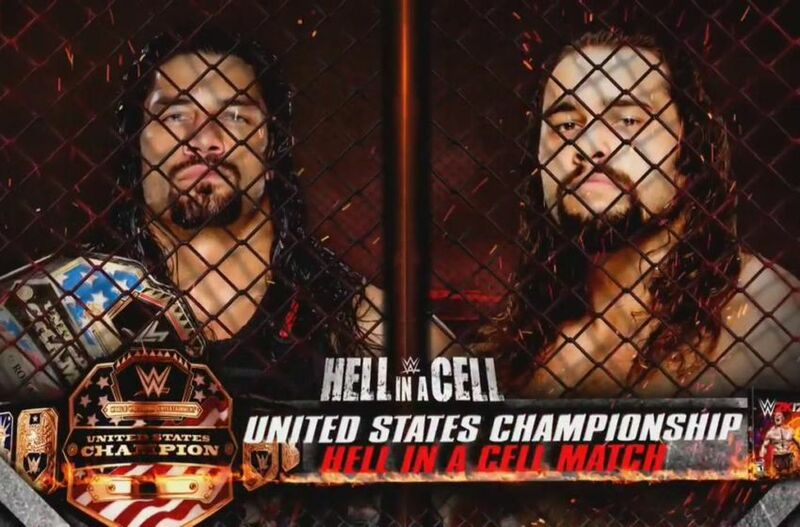 Promo wise, Rusev has been killing Reigns on the mic and though I'm sure this match will be good, especially with the cell in place, but this is the match I'm least excited about honestly. Reigns will win, Rusev will move on, and we will be treated to another 2 months at least of this pointless Reigns run. I'm not sure who his next challenger will be, but I'm anxious to see if WWE will legit give him someone who can beat him going forward for the belt. -I don't really see any upside in Gallows and Anderson. They just don't do it for me as a team and I think they lack all charisma and the promos have been pretty bad. I like the match of them versus Enzo and Cass, but RAW has such a thin roster, that this is essentially a feud we witnessed 3 months ago when it included John Cena and AJ Styles as well. 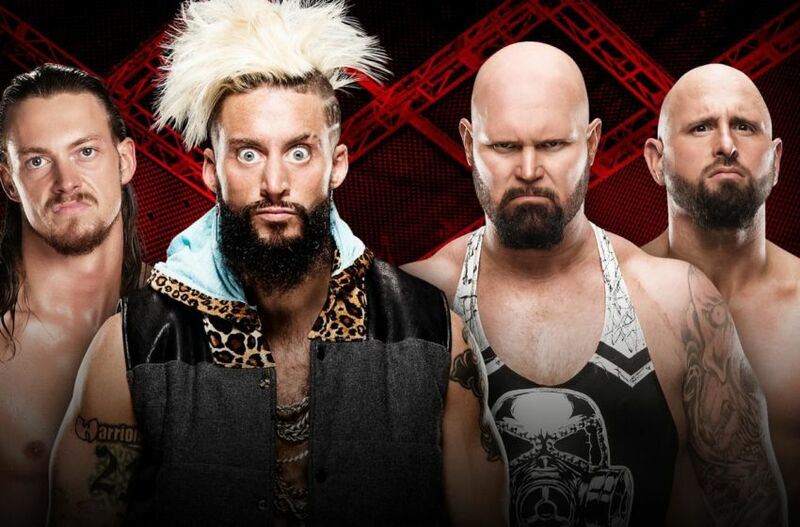 My fear is that Gallows and Anderson will win as they are seemingly being rebuilt and I hope Enzo and Cass manage to get a victory here. Enzo and Cass are and should be the future of the tag team division. They are right there with the New Day in terms of being the most over team and the whole "promo without a mic" thing that the team did was so cool that it makes me want them to win every match they have from now on. I'm not even joking. Let's go Enzo and Cass! -I really hate the idea of this Cesaro and Sheamus tag team. It was the dumbest idea and with RAW lacking singles stars and not using their tag teams efficiently, this makes absolutely no sense. At all. Seriously. I want Cesaro and Sheamus to lose, spilt up and let Cesaro defect to Smackdown, where he belonged in the first place. We could be seeing Cesaro vs Orton, Cesaro vs Wyatt, Cesaro vs Ziggler, Cesaro vs Ambrose, and of course Cesaro vs AJ Styles, but instead this is what we get. Well, I hope the New Day continues their title reign, makes history and eventually drops the belts to Enzo and Cass. The New Day are still a top 3 most over act on the roster and while the usual fairweather fans have turned on them by now like normal, the group is still going strong hands down. Let the New Day win this match... there's really no other option to be fair. -I found this build to be quite odd. However, it is almost obvious that TJP seems liable to lose it and let Kendrick get the victory. I don't think the TJP experiment is working and when you have guys like Swann, Cedric, Sin Cara, and more in the division, as well as some solid heels in Tony Nese, Drew Gulak, and others with Noam Dar and Jack Gallagher on the way up, the WWE might want to move on from this TJP thing and move him to NXT similar to what thru did with Cedric, who has excelled on the road with NXT. I'd like to see Kendrick get the win and title, and feud with Cedric or Swann. I think the Cruiserweight Title will bounce around often so I'm fine with TJP losing. It makes sense in storyline form, though the story has been lacking. Let's go Kendrick! -There is a double main event on this show and this is the first of those two matches. I'm indifferent on this match at the moment, but I suspect it will be a good one, and a potential classic if executed right. I loved the brawl at the end of RAW, but we see where this is leading I suspect. 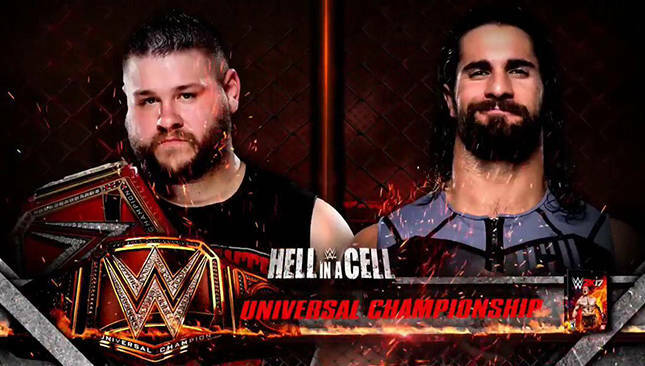 Kevin Owens vs Chris Jericho for the WWE Universal Title. What better place to have that match than in Canada at Survivor Series? Well, I'm sure Jericho will play a role in the match here and help Owens retain, but the friendship is about to come to an unfortunate end. 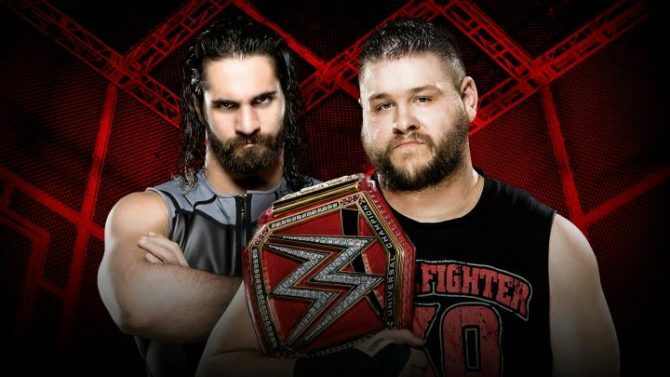 End of the story, this match will be great, but Owens retains and Rollins will move on..... if I could predict... I'd say to Rusev for a feud to keep his face momentum up until he and Triple H have a match. -The real main event. History. I'm so on board for this match. It needs to happen. It is overdue. Sasha Banks. Charlotte. The top two women in this industry. Sasha is one of the most over women in WWE in years and likely overall as well. She's now champion, heading into her hometown of Boston and about to make history in the first ever women's Hell In A Cell match. This is well deserved from both women. Some people, the usual fairweather and quick to switch up fans have said bad things about both women, but to be fair, Sasha is excelling and so is Charlotte. This match is being booked well, and while some didn't like their contract signing, I liked it and it sold the match and feud. 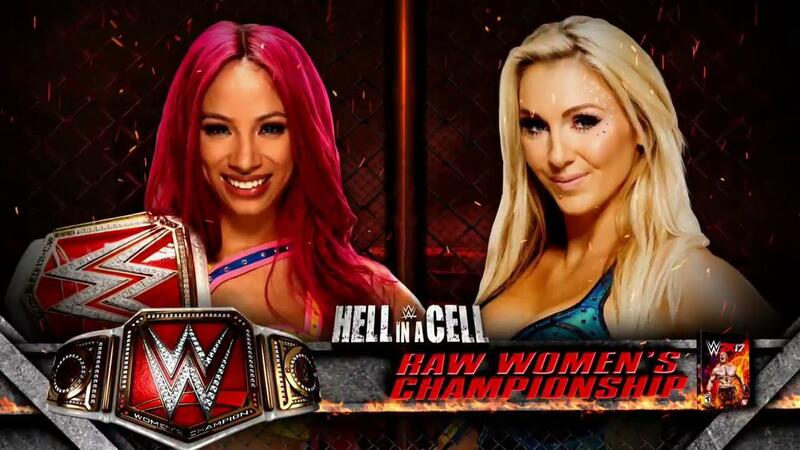 It didn't sell the whole notion of how they're making history and treating HIAC like a privilege they earned, but rather the Cell is being used as a means to end the best women's feud in WWE this year and it's not even close. These women deserve the main event and they deserve to close the show. With Charlotte coming in with an undefeated record on PPV, a chip on her shoulder, and Sasha wanting to make history in her hometown in the biggest women's match ever, we are looking at something special. This is the main event of the show. And Sasha will and SHOULD win. There's no denying this. Charlotte had her time and she seems to get better regularly. Sasha also seems to get better and more adjusted to the main roster regularly. I think we'll see Sasha make Charlotte tap out. Hopefully we get some blood in this match as well and a few decent spots. That'll be absolutely amazing. 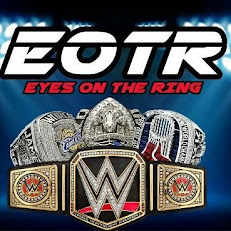 This show has the makings to be a good event, but only time will tell how WWE builds it up and executes it. Guess we will find out Sunday. Stay tuned.